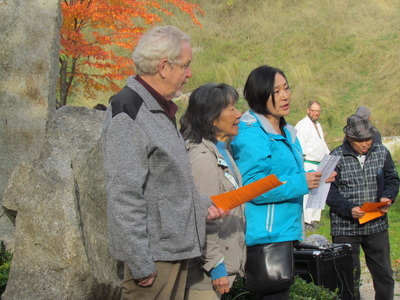 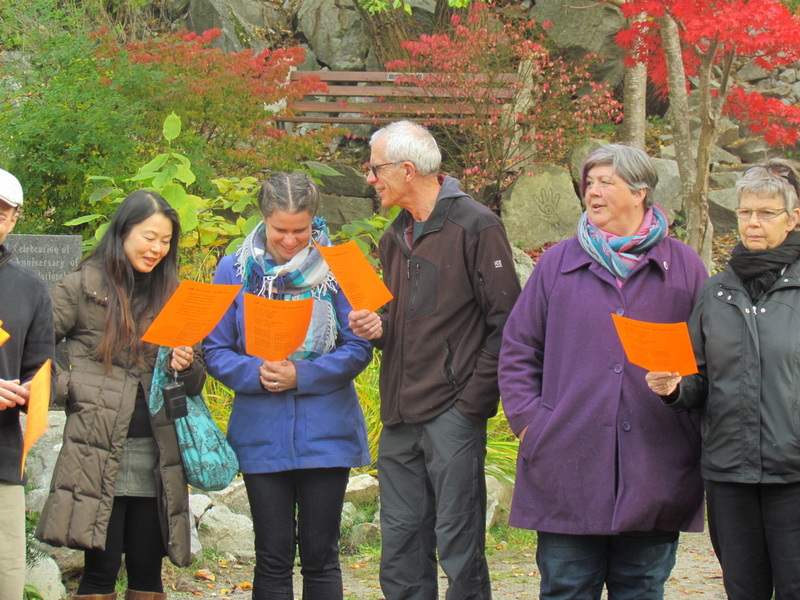 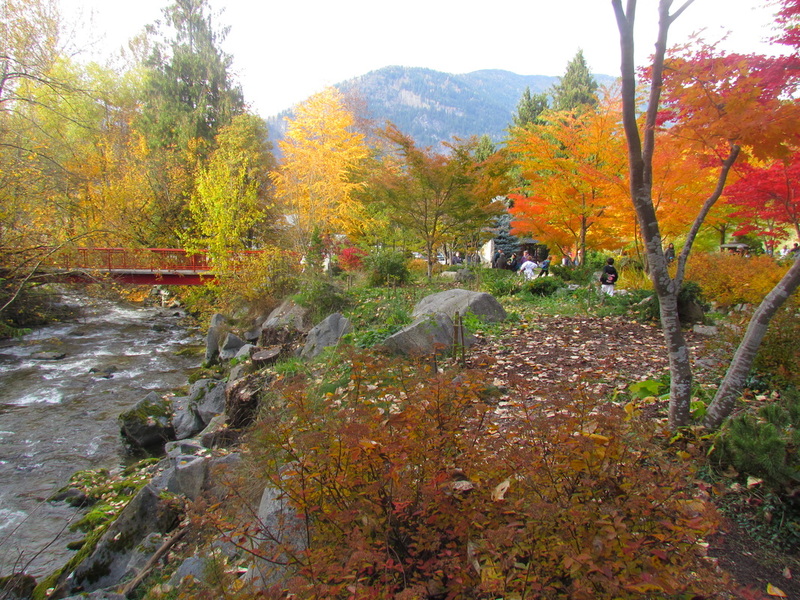 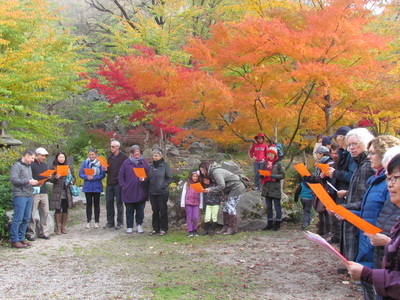 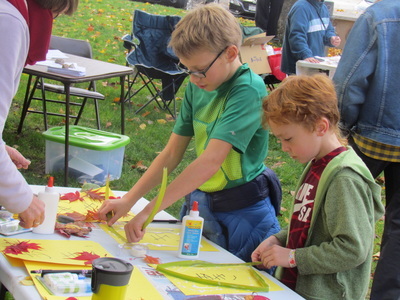 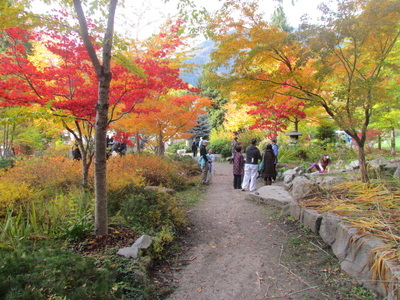 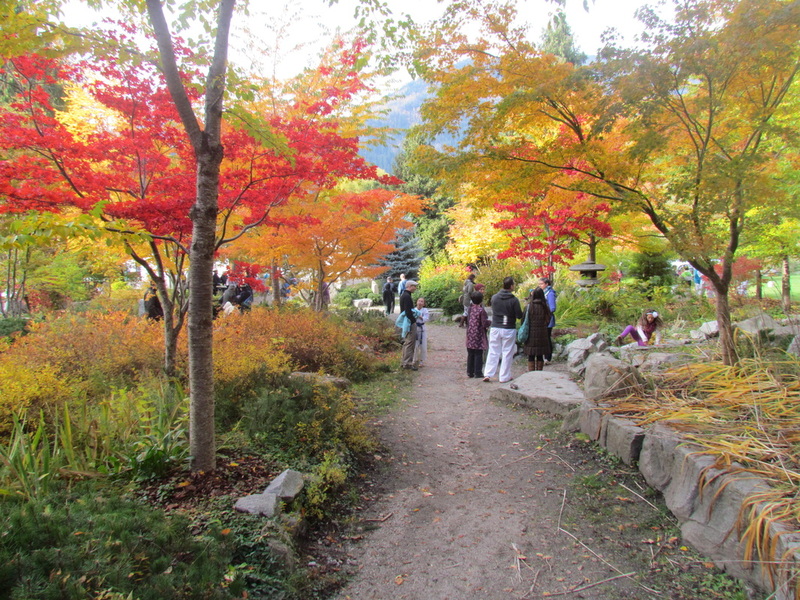 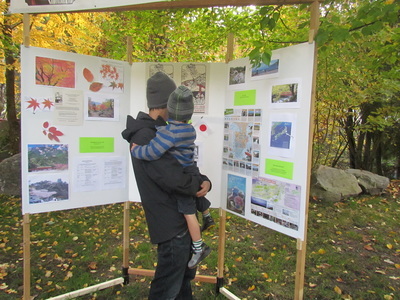 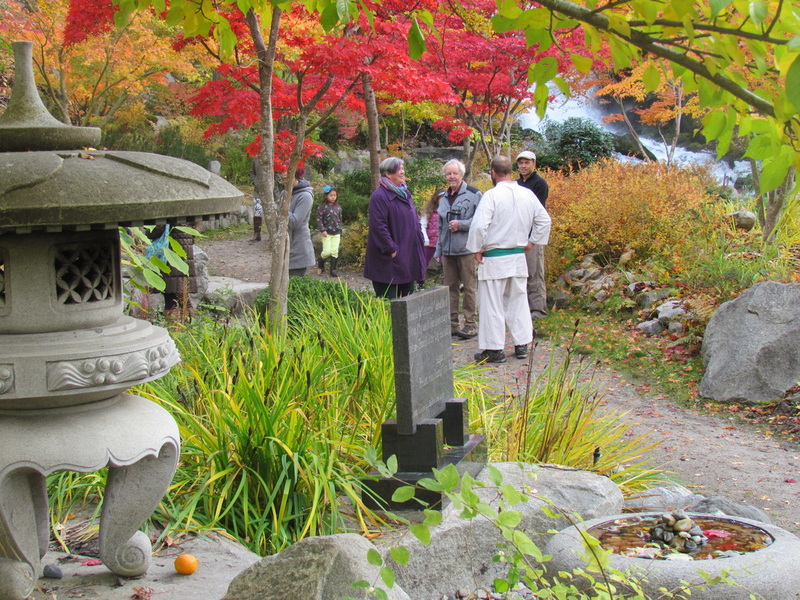 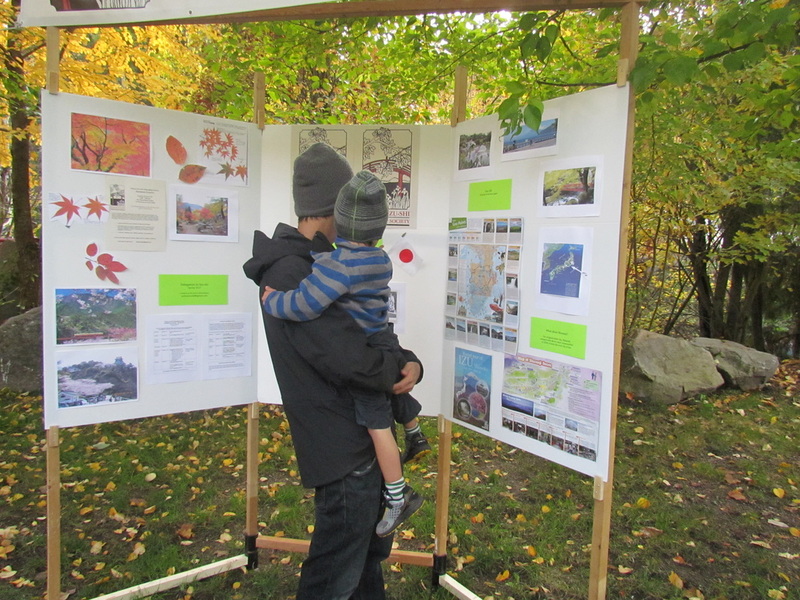 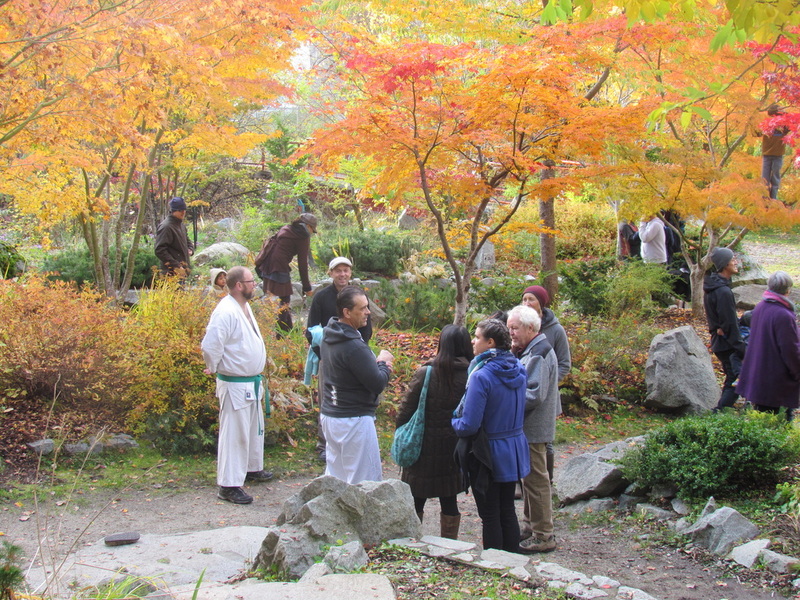 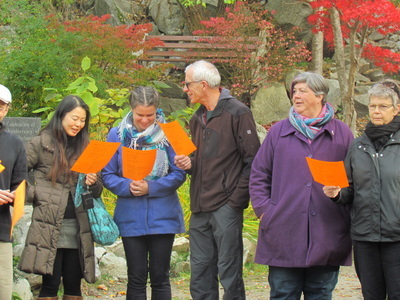 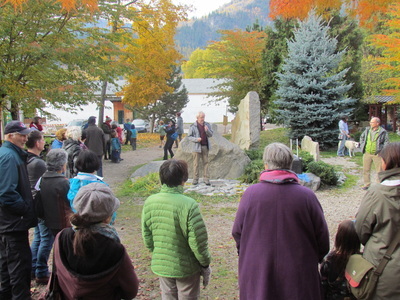 The Nelson Izu-shi Friendship Society hosted a gathering in Cottonwood Falls Park on Sunday October 23rd 2016 to enjoy the beautiful colours of the autumn leaves. 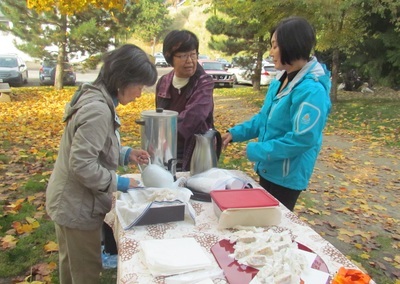 The event was a great success thanks to a large number of volunteers and many participants. and on memories of previous visits to Izu-shi. 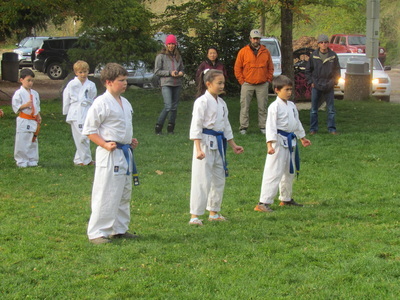 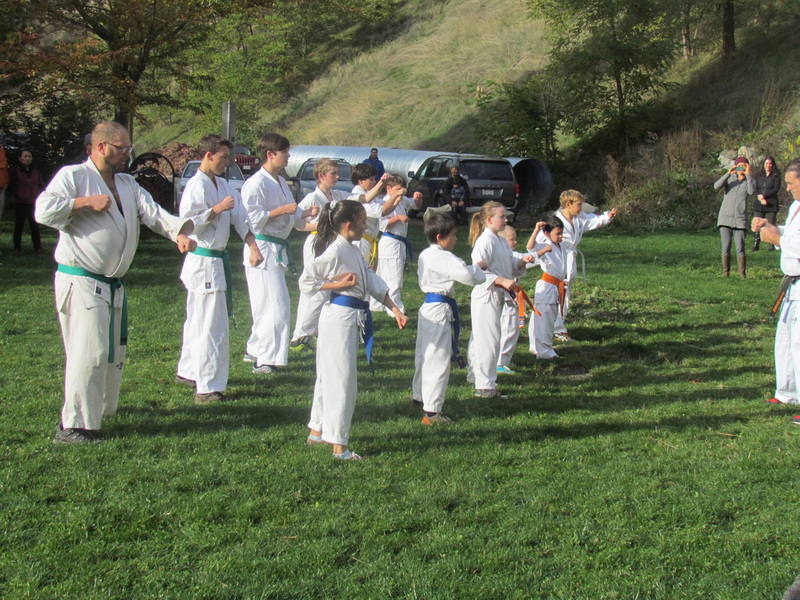 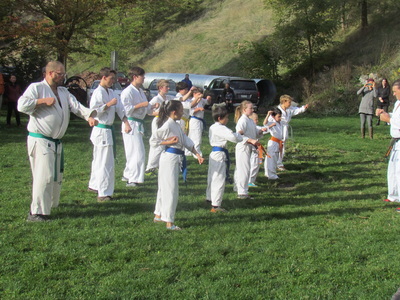 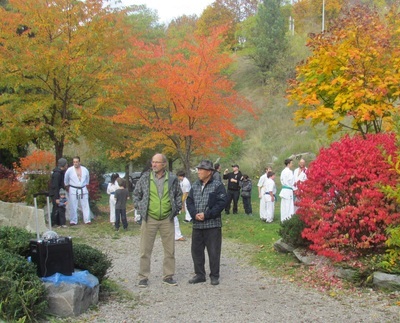 Children enjoyed finding colourful leaves and making posters, participants sang the Japanese seasonal song Momiji about koyou, (maple leaves turning into fall colours), and everyone really enjoyed a special demonstration by Keith Sensei and the Kyokushin Karate Club. Japanese treats and tea were popular and we raised over $60 in donations. 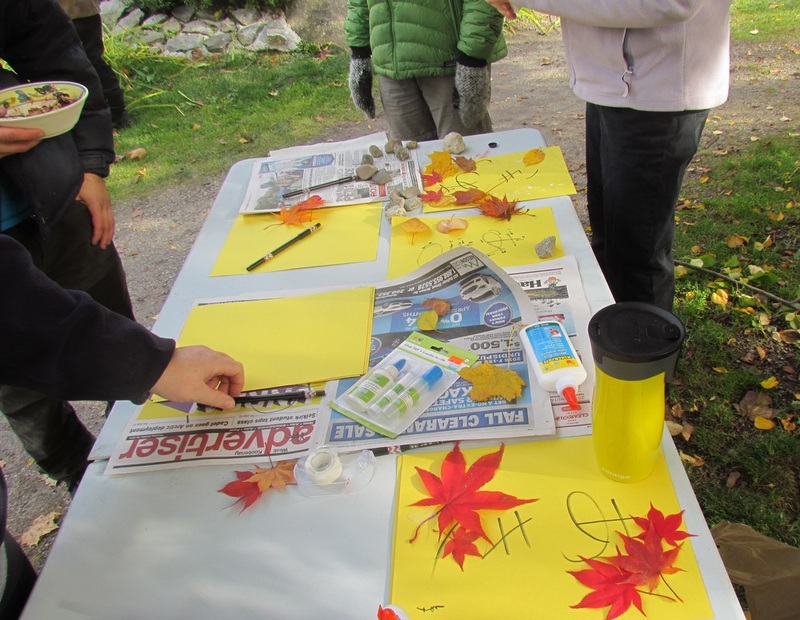 Of course, the beautiful autumn leaves were the main attraction on the sunny fall afternoon! 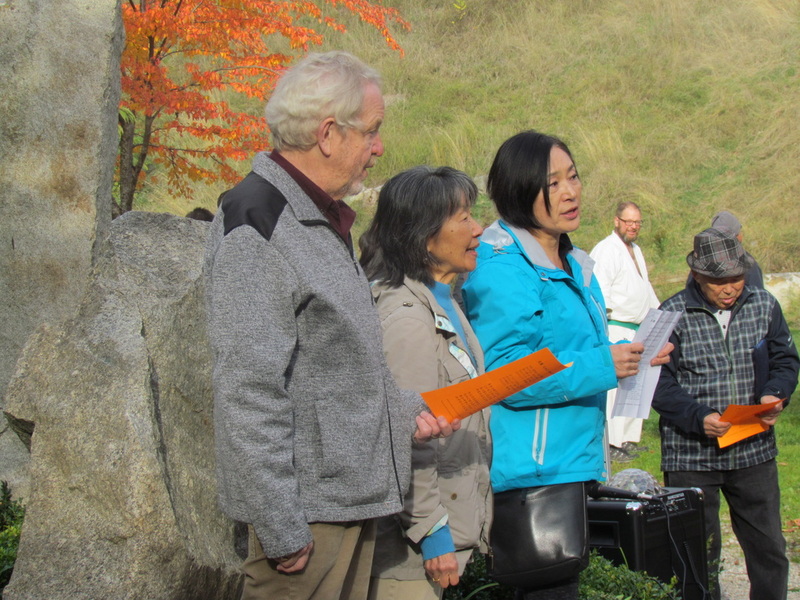 Thank you to the many volunteers: Grace Devaux, Margot, Bernie, Shoko and John organized the event; Namiko arranged for the karate demonstration; Margot planned and supervised the children’s activities; Yuri and Shoko made the delicious treats; Curt provided the sound system; Robin Trudel took the photos (see gallery below); Bernie built a new support for our display board and made sure the bridge and gate in the Friendship Garden sparkled; Emiko, Shana, Grace Nakano, June, Mary and Yukako helped too. Thanks to Tyler Harper, Nelson Star, for covering the event.